Roger completed his training contract with BTMK Solicitors, Southend on Sea, Essex before qualifying as a Solicitor in September 2002. He has practised criminal defence work exclusively since that time and is a Duty Solicitor on the Basildon, Grays, Southend and Rayleigh scheme. He has Higher Rights of Audience to represent clients at the Crown Court. Roger’s work covers the complete spectrum of criminal defence including murder, firearms/explosives offences, sexual offences, importation/supply of drugs and fraud. 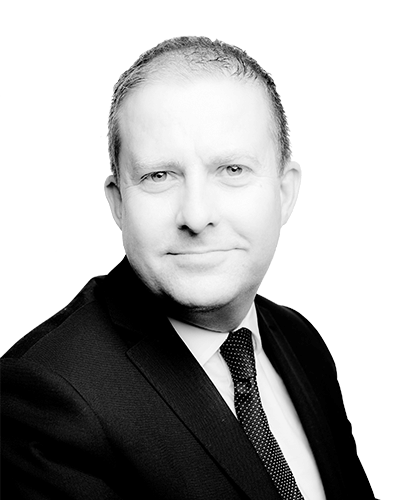 His wide range of experience ensures that clients can expect an intelligent and robust approach to criminal defence. These qualities are coupled with a personable approach that has resulted in Roger having a large client following both at the police station and at Court. Roger is considered to be a very safe pair of hands and, as a consequence, receives case referrals from other firms and professionals involved in the Criminal Justice System. Roger has a particular interest in motoring offences including speeding, totting and exceptional hardship, excess alcohol/drugs and careless or dangerous driving. He provides no nonsense advice and accomplished advocacy. Roger is a trial advocate at the Youth Court and the Magistrates’ Court. He is pleased to accept both private and Legal Aid instructions. A defendant charged with murder within days of his release from prison for manslaughter. Expert reports obtained from two psychiatrists and a neuropharmacologist prior to the trial at The Central Criminal Court. High profile explosives case. The defendant manufactured a large amount of explosive material. The Judge was nevertheless persuaded to impose a Suspended Sentence Order . Arson with intent to endanger life following a neighbour dispute. The client was acquitted following a 5 day trial.